UNESCO has included Kumbh in the list of “Intangible Cultural Heritage of Humanity”. 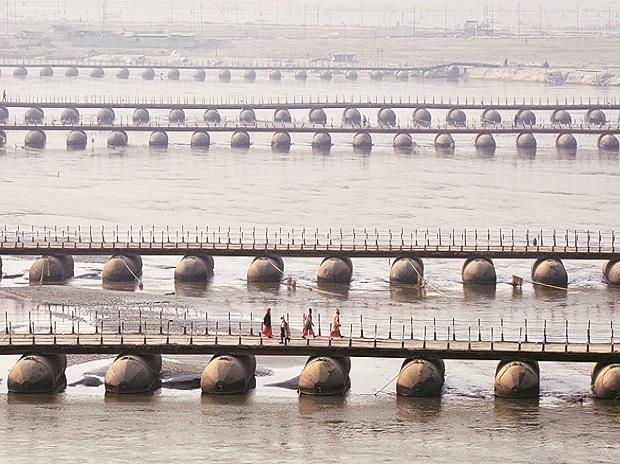 The new city set up in the Mela area for devotees and pilgrims at Kumbh, has 250 km long roads and 22 pontoon bridges. This makes it the largest temporary city of the world. Also,for the first timeLED lights, 40,000 of them have been used to light up the entire Mela.The state government has spent more than Rs.2,800 crores on ensuring a successful event.